It's no secret that most real estate agents need to improve their lead generation.Chances are if you are reading this post, you fall into that group of agents. Here is what most agents do: try every new tactic, often without fully committing to it, and quickly change to something else when they don't find immediate results. According to NAR, the gross income for the average agent was only $42k in 2016. $42k! That's the gross income, meaning before all their expenses and taxes. Their actual take home? Let's not even discuss it. So what should an agent do to generate better leads? Well, that's up for debate. Real estate coaches are often the ones touting these new strategies and pushing agents to learn new skills. After all, why would a real estate agent pay a coach to teach them something old school? One fact is certain: some lead generation practices are more profitable (and reliable) than others. Take a look at these three leads and pick which lead you think is best. Obviously, we could create a list of 20-30 more. For whatever reason, most real estate agents these days see Facebook ads and direct mail campaigns as a better lead source than expireds. Seriously?! Not only can these lead generation campaigns come at a high cost, but a "successful conversion" rate is 1-3% (and that's if you have the skills or expertise to target the right message to the right person). Sheesh, talk about a terrible ROI. So why expireds? It actually comes down to a simple math formula. You see, expired listing leads are homeowners that tried to sell their home but didn’t find success. This is often due to market conditions, over or under pricing their home, or not having the right real estate agent. As you can imagine, expired leads are often eager to get back on the market. In fact, many homeowners end up finding a new agent. However, calling expired listing leads isn't a cake walk. In fact, many agents quit after a few days. Why? Because high conversion rates and an extremely high ROI make calling expireds extremely competitive. If you don't like high competition, you may want to leave this blog post now. Expired listing leads are one of the most competitive lead sources in real estate. But it's for a reason. A niche with competition means there is money to be made. And there is big money to be made with expired listing leads. We've been helping top producing agents find massive amounts of success by working with expired listing leads. In fact, we've been doing it since 1991. Our sole purpose is to empower achievers like you to create abundance, however you define it. If you aren't successful, we aren't successful. We've put together this guide to help you maximize your effectiveness as you grow your business using expired listing leads. 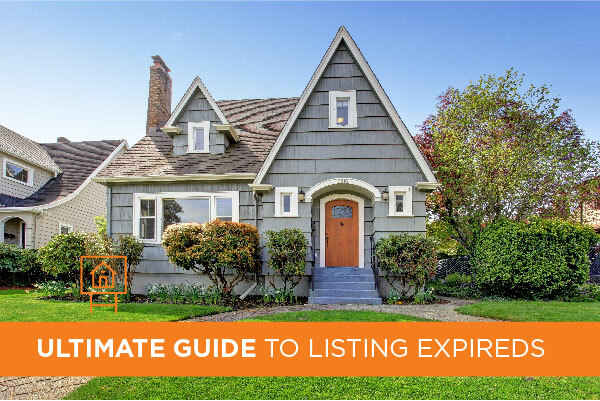 Before you do anything with expired listing leads, it's very important to check with your local MLS (Multiple Listing Service) to make sure you know all the rules and regulations regarding contacting your expired lists. Contacting a listing that is not actually expired or that recently became active again can bring a hefty fine or penalty. Many agents will pull their data out of their MLS and manually import that data into their CRM or dialer software. Without some sort of API integration to a service like Landvoice, that data will not be updated in your CRM or dialer if the listing becomes active again. Most agents in real estate experiment with calling expired listings at one point in their career. The difference between those that are successful and those agents that are not can be tied back to one thing: their strategy. Calling expired listings can be difficult. Put yourself in a homeowner's shoes. After months of keeping your home in tip-top shape, multiple open houses, and multiple offers falling through, your listing expires and you need to start all over again. To make matters worse, the day your contract expires, you are bombarded with calls from real estate agents trying to list your home. It's a perfect recipe for getting an angry homeowner on the phone. Because of this, many agents will call leads for a week or two and give up on growing their business with expired leads. Successful agents know that it takes commitment. Rome wasn't built in a day and neither is your business. In the beginning, focus on activity, not results. Too many agents give up after not seeing immediate results. This is just a small list of daily activities. Start by measuring your activity level, then your results. Yes, doing your homework pays off. BalderdashHouse.com lists a few things to consider when calling expireds. Why didn't it sell? Overpricing is one of the most common reasons a listing expires, but it's not always because of the agent. Many homeowners have unrealistic views of the value of their home and insist on listing as such. If the expired listing looks severely overpriced, consider running a CMA first and be prepared to have a tough conversation with the homeowner about the true value of the expired listing. Why did it come off the market so fast? If a listing is on the market for only 2-3 months, it may because the homeowner was unreasonable or had too high of expectations. 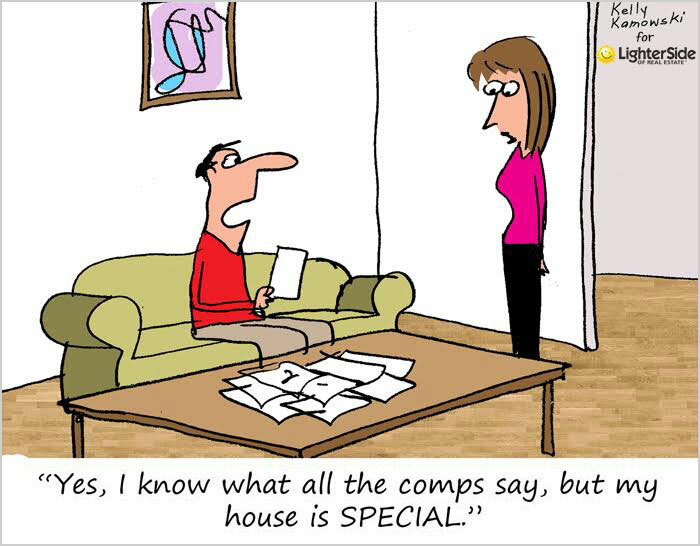 Sometimes it's better to not take a listing if the homeowner is too difficult to work with. Do your business a favor and let your competition take these listings. What is their market like? Don't walk into a listing appointment without knowing what the market is like for that particular house. How fast are houses of that size/price/type selling? 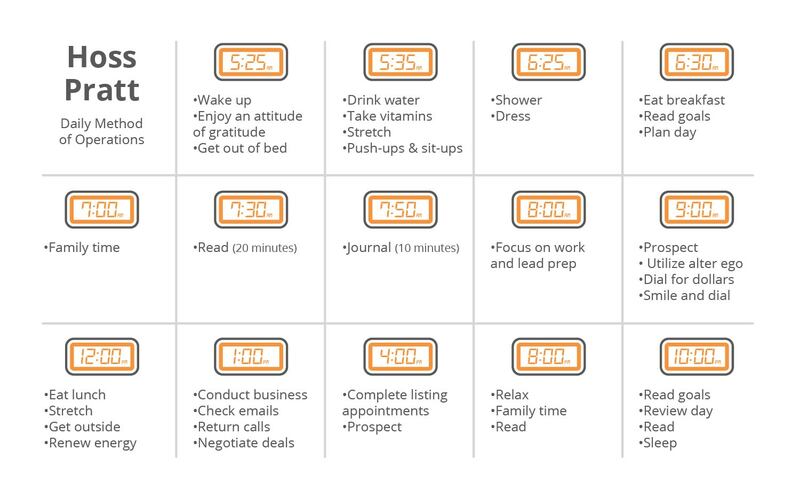 One of the first steps to committing to calling expired leads is scheduling it into your day. If you leave your schedule open, "life" will fill it up for you (we're looking at you Candy Crush gamers). If you are manually searching for phone numbers instead of using a service like Landvoice to get them automatically for a few bucks a day, you are going to need to schedule even more time. So what does an effective schedule look like? Hoss Pratt, the #1 “lead and prospect" coach in the country, has an awesome schedule in his book Listing Boss (which we totally recommend!). 5:25 Wake up. Enjoy an attitude of gratitude. Get out of bed. 5:35 Drink water. Take vitamins, Stretch. Do push-ups and sit-ups. 6:30 Eat breakfast, read goals, and plan day. 7:00 Share quality time with family. 8:00 Focus on work and lead prep. 9:00 Prospect. Utilize alter ego, dial for dollars, smile and dial. Noon Eat lunch, stretch, and get outside. Renew energy. 1:00 Conduct required business. Check emails, return calls, negotiate deals. 4:00 Complete listing appointments/prospect. If no appointments, then prospect. 8:00 Relax. Spend time with family. Read. 10:00 Read goals, review day, read. Sleep. Following a schedule like this will be your first step to success with expired leads. It's important to note there is a difference between being busy and being productive. Just because you fill up your daily schedule from 6 AM to 11 PM, doesn't mean you're being productive. Ask yourself this question: "What did I just accomplish for my business?" If your answer isn't something directly related to lead generation, setting appointments, closing listings, or helping a client sell a home, you may want to consider removing it from your schedule. The definition of productivity is "producing readily or abundantly." What are you doing right now to "produce readily or abundantly?" Grand Cardone, in the book 10X, says that "success is not something that happens to you, it's something that happens because of you." Make sure that your efforts, specifically those related to prospecting expireds, are making something happen." Make success happen because of you. Most homeowners will be contacted by hundreds of agents, yet few homeowners will be contacted by the same agent more than once. And even fewer homeowners will be contacted by the same agent more than once over more than one medium. What does that mean? A medium is a type or way you will contact them. For example, cold calling and sending an email are two different mediums to contact expired listing leads. If you are marketing to clients on only one medium (a.k.a. cold calling, which by the way is the exact same as every other agent) how do you expect a homeowner to believe that you will market their home differently than other agents? Go the extra mile and show your expired leads that you can market their house effectively by marketing to your expired leads effectively. When was the last time you made a large purchase without actually knowing what you were getting? Have you purchased a car without test driving it? Did you marry your spouse without going on a date? Of course not. You want to know it's the right thing to do. Yet so many agents refuse to provide value to a homeowner before they get a signed contract. I saw a conversation in a Facebook Group about whether or not agents should provide value prior to getting a listing agreement. One agent commented on Facebook, "Why should I?" Because they are giving you between 3% - 6% of their home, that's why. Because the internet makes data (like the value of their home) readily available to anyone, that's why. Because discount brokers like Homie or Redfin are disrupting your business, that's why. It's now more important than ever to show how much value you can provide, instead of just telling them. Here are a few ways to show homeowners how much value you provide them. Believe it or not, "I'll put your house on the MLS and a sign in your yard" is not a convincing marketing plan. A marketing plan is a documented, step-by-step success formula that you follow to help the homeowner sell their house for the most profit and in the shortest amount of time. Remember, these are expired listings. They were just on the market with a real estate agent that didn't produce results. Expired leads don't want to make a mistake again. They need to see value in order to have confidence in the next agent. Find a buyer for your home or charge you absolutely nothing. Send or email a flyer of your home to the top 20 agents in the area. Call my sphere of influence to find a buyer for your home. Take full-color digital photographs of the inside and outside of your home for marketing flyers, advertisements and the Internet. Provide a Home Audit to discuss constructive changes to your home to make it more appealing, to show exceptionally well and help it to yield the greatest possible price to an interested buyer. Call you once a week to give you an update. It's 2018 (as of the posting date of this article) and people expect the use of technology. The MLS is no longer in a 3 ring binder and your strategy shouldn't be either. You should walk into the listing appointment ready to wow the homeowner with a killer presentation that uses modern technology. Landvoice agents use a Call Capture tool to not only get listing appointments with expired leads, but to win them as well. Let me explain. One of the biggest hurdles you will have when prospecting expired leads is getting a listing appointment. As soon as the listing expires, agents across the county will be calling that lead. The problem (or in Landvoice's customers' situation, the opportunity) is that most of the agents say the same thing. You need to be different. Landvoice customers that use Call Capture simply send a video to them over text. That's it. Did you know that 98% of text messages are read? You can't say that about cold calling. Heck, I doubt you can't claim your spouse answers 98% of your calls, let a lone a cold call. Using a text and Call Capture technology could be a game changer for your business. Want to watch the video you'll be sending to your expired leads? If you're a "cold call kinda gal" (or guy), that's fine too. The script is very similar. You need to acknowledge that the expired lead is probably frustrated with the number of calls, express some empathy, and then offer to send them a quick video of a free tool that may help them. 44% stop following up after the first attempt. 80% of sales require at least 5 follow ups. Consider your own buying process. How often do you purchase something the first time you see it? Outside of milk and eggs, it isn’t that often. Why would you expect an expired lead to be any different? They just spent months (and sometimes a full year!) trying to sell their home and came up short. You can expect them to make sure they get the right agent this time around. Here are a few basic tips to improve your follow up with your expired leads. Don’t let this be your daily routine. Make sure you are recording which leads need a follow-up. Remember, recording down the name of the expired lead isn’t enough. Personally, I hate it when a sales rep doesn’t remember anything that we already talked about less than a day ago. Imagine spending 15-20 minutes with a real estate agent describing your frustrations with your home expiring only to have to repeat it all when they call the next day. If you want to leave a great impression on your expired leads, record details on who needs a follow-up and the specifics of your prior conversations. 3x5 cards and your journal not working out well? Use a CRM to help manage your expired leads. CRM stands for Customer Relationship Management. Notice how it doesn’t say “task management” or “lead list?” A CRM is meant to help manage the relationships with your expired leads. Bring all your prospecting and client management activities in one place. Stop using a differing application for your email, calendar, to-do list, and transaction management. Most CRMs can bring all these into one application for you to use. Improve your follow-up by having a central place for your upcoming tasks, calls, and notes for all your expired leads and clients. Automated marketing campaigns. Want a system that automatically sends a birthday card to your past clients? What about sending a text message to your brand new leads? A good CRM can do these things. Reduce your costs. Yes, you read correctly. 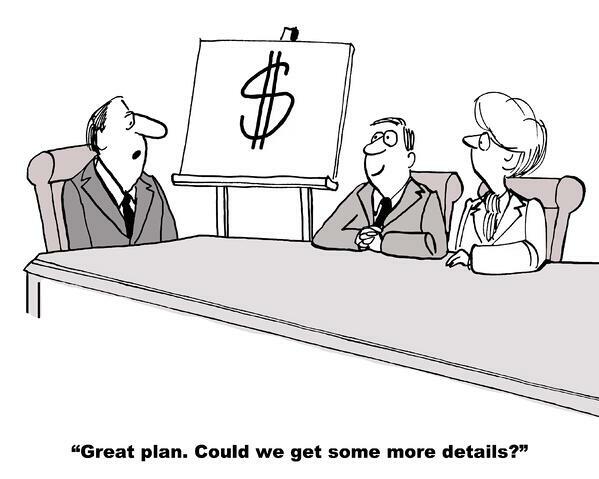 A CRM can actually reduce your costs. What is your time worth? If used correctly, a CRM will help manage day-to-day tasks more efficiently so that you spend your time on the phone with leads and clients. You are probably wondering, “What CRM should I use?”. We believe you should invest in the CRM that you will actually use. Buying a fancy piece of tech won’t help anyone if you don’t use it. Get a free trial to multiple options and pick the one that best fits your needs. Landvoice provides a lead management platform with your expired leads for free. While this platform is not considered a CRM, it can help you manage your Landvoice expired and FSBO leads effectively. Regardless of how skilled you are on the phone, there are two traits that can make or break your success with expireds: consistency and persistence. While we've all met agents that have massive businesses from calling expired listing leads, we also know of agents that haven't had as much success as they hoped. The agents that consistently prospect their expired listing leads are the agents that get consistent results. Persistence is more about the energy and intention behind your actions. You can call, knock, tweet, post, etc. all day and all night without success if you don't have the right energy and intent. Don't just go through the motions. You should put all your energy and effort into each attempt to contact a homeowner. It's your persistence that will enable you to overcome objections, find more hot buttons to push with leads, and improve your scripts. Your consistency and persistence (along with the amazing expired leads from Landvoice, of course) will be the secret to your success. Picking up the phone and having a quality conversation with expired leads is tried and proven. But that doesn’t mean if it’s the only option. Using social media can be a very effective approach. Here are a few tips. We live in a day and age when most people are posting everything on social media, including selling their house. Consider commenting on their post about their house. This is not a post trying to promote yourself but rather to complement the curb appeal or how nice the decor compliments the antique hardwood floors. Make yourself known without trying to sell them. The same rule applies here. Don’t abuse social media by trying to get in the door. Build a relationship by sending them a few professional tips about how they can improve their listing. Engaging with leads online builds a stronger relationship and increases your likelihood of success when you call them on the phone or stop by to see their home. Facebook and other platforms allow you to run paid ads to a targeted list of leads or customers. Use these custom ad audiences to decrease your ad cost and increase engagement. If you are calling any lead source, whether they're expired listing leads, FSBO leads, or pre-foreclosure leads, you should consider using a script. Scripts are pre-written conversations that help you use the right language and phrases to help a lead see the value in the service you provide. Practice, practice, practice. Just because it’s called a script, that doesn’t mean you should sound scripted. Instead, you want to know your script so well that it becomes part of your natural conversation. Ask a partner, colleague, or spouse to help you practice your script with different objections. Try new scripts. There isn’t just one road to success. Ask other agents in your office what scripts they are using. Trying different scripts will allow you to find a script that fits your personality and niche. Be prepared to go off script. Whether you are working expired leads or FSBO leads, you will receive questions and objections that will take you off your script. Know how to approach these questions and objections (and if it feels right, how to navigate back to your script). If you have access to your MLS, you should have access to your expired listings. Depending on your MLS, you may also have access to canceled or withdrawn listings. The problem you will find is getting the contact information for the expired listings in your MLS, such as their name, phone number, and email. This is the most difficult and time-consuming task for real estate agents. The solution is to look up the address in city and county records so you can find the name and phone number for the expired listing owner. You may also find success doing a reverse lookup on websites like whitepages.com. Agents that are serious about growing their business with expired listing leads partner with a data provider such as Landvoice. Data providers use their own technology to capture public records and find the homeowner contact information for you. For as little as $1-$2 per day, you can get the contact information for all your expired listing leads delivered each day. Landvoice will also work with larger data providers not accessible to the general public to augment the data we find ourselves. This service is called Expired Pro and it can find up to 95% of phone numbers for the expired listings in your MLS. Rather than spending your morning combing through public records, use a data provider like Landvoice so that you can spend your morning setting listing appointments. Create a daily schedule and include prospecting expired leads. Learn your MLS’ rules and regulations for calling expired leads. Record your commitment to calling expired leads. What is going to help you dialing after getting off a call with an angry homeowner? Do your homework on the expired listings in your MLS. Be consistent! Consistent action will produce consistent results. Be persistent! The more persistent you are in your prospecting and follow up, the more listing appointments you will set. Define what value you are providing to your clients. Find a CRM that will fit your needs. Use social media to improve your success with expired leads. Select and practice a script. Sign up for Landvoice or find another cost-effective way of getting quality expired listing leads. Clients of the Mike Ferry Organization use this Expired Script. Go to mikeferry.com for more information. In today’s market, expired listings are an enormous source of business, one of the largest sources available to you today. You should utilize this source to grow your business! Many agents object calling on Expired Leads because the homeowner has already had a though experience with the market, and in most cases, an agent. We have included a few scripts that will help you to overcome these objections. If you were absolutely sure that your home would sell, would you put it back on the market? I am not going to buy into this idea that your home didn’t sell because the market is slow. Instead, I would like to stop by, take a look at your home and figure out why it didn’t sell and also what it will take to get it sold this time. Then you can decide if we should be working together. What would be the best time: [time] or [time]? You are right. The market is slow compared to 3 years ago and did you know that homes sold right here in our market last month? It would have been great if yours was one of them, wouldn’t it? Let me stop by and show you what I am going to do to make sure that your home is one of the homes that will sell this month. What would be the best time: [time] or [time]? I can understand your concerns, and I think you realize a company doesn’t sell a home, it’s the individual agent’s activities. Do you feel I can sell your home? Terrific! All we need to do now is simply sign the contract so I can help you get what you want, in the time you want. Won’t that be great? Sign the contract. That’s great, and since three minds are better than two, let’s think out loud together. Tell me, what are you thinking about? You are right. This is a big decision, isn’t it? Yet the decision must be made based upon what you want, correct? Let’s do this. Sign the contract tonight contingent upon your approval within 24 hours. That way we both win. Can I tell you how? You have 24 hours with no pressure so you can feel comfortable and sleep on it tonight. Then I will call you in the morning and you simply tell me yes or no. If you say no, I will rip up the contract and you have no obligation. If you say yes, I will begin marketing your property immediately. Either way. All we need to do now is simply sign the contract so I can help you get what you want in the time you want it. Won’t that be great? Sign the contract. I can appreciate that and almost everyone does. So, let me ask you, do you absolutely have to sell this home or are you just looking to do your friend a favor? Obviously, you had me out for a reason, right? Do you feel I can sell your home? Terrific! I can appreciate that and what you probably don’t understand is this: an agent that will list your property overpriced now will then start beating you up on the price week after week. Is that what you want? Who would? They are afraid to tell the truth up front. Do you want the truth? Of course you do. Let’s do the right thing and simply sign the contract so I can help you get what you want in the time you want it. Won’t that be great? Sign the contract. That’s a valid concern and let me ask you this: are you aware that there are two kinds of real estate agents? There are passive and active. I am an active agent, meaning when you sign the contract tonight I will spend my time actively marketing your home to other active agents in town. Isn’t that what you want? Someone who will work actively and aggressively to get your home sold, right? Terrific. Good morning, I’m looking for Mr./Mrs. _________. This is ________ with __________. As I do every morning, I’m reviewing market activity over the past 24 hours and I see that your home is no longer for sale. It was a beautiful home and I’m so sorry that is was on the market for ____ days without selling. (Be quiet and wait for a response; they may tell you exactly what the other agent did wrong). Your home is in a favorable area so I’m assuming you may still be interested in selling for the right price. (Be quiet and wait for a response). Would you like to know why your home didn’t sell? Would you be offended if I swing by later this week to drop off a comparative market analysis an day synopsis on why your home may not have sold? Great, would Friday or Saturday work best? I understand that you may still be upset about the outcome of your listing experience. Most of my clients feel the same way. I’m so sorry that you’re in this situation and I would love to provide you with a bit more information to arm yourself with than the other agent may not have given you. I’d be happy to swing by on Friday or Saturday to just drop off my findings. Good morning Mr./Mrs. _________. I’m sorry to see that your home has expired without selling. I’d love the chance to speak with you about why it didn’t sell and why many other sellers have chosen me over other agents after their home has expired. I look forward to the opportunity to earn your business. You may reach me at __________. Talk to you soon. Hi there, is this the homeowner? I’m _____ calling with _____. As I was looking over what’s happening in our neighborhood, I noticed that your home is no longer for sale. I was really surprised that it went for _____ days without selling. Any thoughts on why? I sold a home recently in the neighborhood at _____, so I thought you might still be interested in selling your home. How about I swing by tomorrow at _____ to take a look and give you a second opinion? Ok, I can just come by to drop off some things for you to look over. I’ve been selling in the neighborhood and I’d like to show you what I’ve been able to do for others. Around _____ tomorrow? Good morning, is this the homeowner? I’m _____ calling with _____. I try to take a look at the homes for sale in the area every day, and I noticed yours was no longer listed. It’s a great home, I was wondering what happened? Where were you planning to move after you sold the house? So, do you have a deadline for when you’d want to sell the house to get there? I think I can get you where you want to be. What kind of time and attention did your last agent offer you? How many offers? Do you know what kind of marketing they did? I know you’re probably pretty frustrated, and likely think that all agents are the same, but I’d love to show you my approach. I work hard and I recently sold a home at _____. How about this Saturday at _____? I won’t take much of your time, and you’ll likely find it worth it to at least get another take. Hi, is this the homeowner? I’m _____ calling with _____. I was just calling because I noticed that your house just recently was taken off the market. It’s such a lovely home, what happened? I’m so sorry….it seems like you had a really bad experience. Well, I really like your home, and was wondering if you were considering relisting it? How did you find your last agent? Well, I might not be someone you’ve met previously, but I thought you might be interviewing agents more formally this time and I’d love to show you what I’ve been doing in the neighborhood and how I can help get you where you want to be. Where are you heading when you sell the home? How about I come by this Saturday for 15 minutes tops and show you how I sell homes. It’s likely a far different approach than one you’ve seen before. Hi, is this the homeowner? I’m _____ with _____. You know, I work in the neighborhood, and I noticed that your home was no longer for sale. Are you planning to put it back on the market? I can understand why you might feel pretty discouraged — it’s a great house. Any idea why it didn’t sell? Any offers? I was just pretty surprised to see it on the market for ___days, I assumed it would be gone in a few weeks. What made you all decide to sell? Where are you moving to? I know you’ve likely had a few people calling you, but as I said, I’ve worked in the neighborhood for # years, I know this neighborhood, I’ve sold homes in this neighborhood, and I’d love a chance to sell your home or at least take a tour and see what might be holding it back. Would you mind if I came by this Saturday at _____? I’m happy to give you some feedback. Hi, is this the homeowner? I’m _____ calling with _____ about your home. I noticed it is no longer for sale. I’m sorry to see it didn’t sell, it’s a great house — I really like the (name some features) and I thought for sure it would be a fantastic fit for a buyer out there. Do you know why the home didn’t sell? Hmm…well, do you know what your agent did to help get the home sold? Well, there’s a reason I sell homes in this area, and I have a lot of ways that I market homes that might really give your home an advantage if you’re looking to interview agents in the future. I have a proven track record of closing deals quickly — in fact, over 80% of my listings sell within the first 30 days, often for more than the asking price. When did you want to move by? Where are you heading? Wow, well, I think I could certainly help get you there by (date). I just sold the house at ________, do you think I could swing by and take a look at your house this Saturday at ____? I’ll give you my honest opinion, and tell you a little about what I do that’s different. I know you probably feel pretty discouraged right now, but not all agents are the same. How about I swing by on Saturday, we’ll chat for 10 minutes, and I’ll give you some thoughts.